It’s been getting pretty schmaltzy up in here lately. In a good way, definitely. We’ve got all sorts of deep and wonderful and, frankly, emotionally exhausting life changes on the menu (My Little Possibility). So, I’m even happier than usual to take a break from the profound to offer a bunch of random stuff I think is cool. I’m not going to lie, it took me a while to figure out this quote, but it was worth it! Give a fish a man, and he’ll eat for weeks! This cover of Gotye’s Somebody That I Used to Know by Walk Off the Earth is AMAZING! 5 people on one guitar, at the same time. I really love the guy on the end. He’s definitely taking his job seriously. There’s something about Amalah… the sarcasm, the self-deprecation, the mommy jokes, or maybe the general snarkiness, that just tickles my funny bone (usually with the liberal use of profanity, so be warned). I’ve eagerly read posts about breast-feeding and newborn supply lists, though I am not now, nor ever will be again in that phase of life – because if she writes it, I enjoy it. I initially found her because she is also parenting a child with special needs and her posts on these topics are funny AND touching. Read The Friendship Jungle, really, go read it, right now. 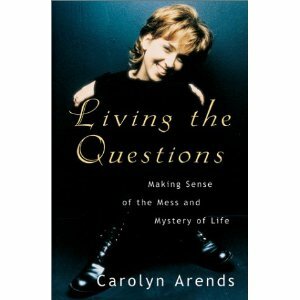 In a turn for the more serious, I’ve been reading Living the Questions: Making Sense of the Mess and Mystery of Life by Carolyn Arends this week. Mostly because they didn’t have the book I was REALLY looking for at the library and I have always considered her an excellent songwriter/poet. I’m so glad they didn’t have that other book; this has been a wonderful discovery. She discusses what she refers to as this “preposterous optimism I’ve come to recognize as faith” through stories of her life which sound so very familiar to me. Everything she writes has a poetry to it. I know she lives nearby… I’m considering tracking her down so I can force friendship bracelets and commitments of lifelong friendship out of her. Or possibly to stare at her in a creepy, starstruck manner. Which do you think she’d prefer? Cause I want her to LIKE me. I’m going to round out this post with a good-for-you app. If you consider yourself a modern-day abolitionist, as in, someone who is opposed to slavery, forced and child labour (and really, what kind of evil douche isn’t? ), then this app from the Not For Sale Campaign is for you. Free2Work rates major companies and brands on their labour practices throughout the supply chain. Each company is given a letter grade, then an explanation based on certain criteria (like a report card of sorts). It is a work in progress; apparently, you will one day be able to scan a bar code in and get information on that company. Consumers have POWER. We can use that to do good and still get what we want/need. With minimal hassle, I can open this app and see what brands are more responsible and then reward them with my business. For instance, next time I’m buying a birthday present I will choose Lego (with a B) over Zhu Zhu Pets (who have a dismal F). Not a big deal for me, but if we were all to do it, it would send a very clear message. So here’s me, not exactly a William Wilberforce, or a conductor on the underground railway, but abolitionist in my heart. My daughter disagrees. Apparently $5 for an evening of babysitting is not a “living wage”. BTW thanks ever so much for teaching her that term Uncle Ben. 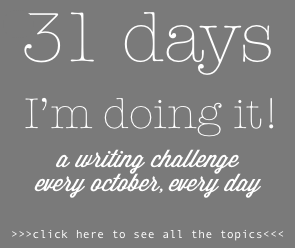 This entry was posted on Friday, April 13th, 2012 at 8:00 am	and tagged with abolitionism, app recommendation, book recommendation, favourites, free2work, not for sale, quotes, social justice and posted in favourites. You can follow any responses to this entry through the RSS 2.0 feed.